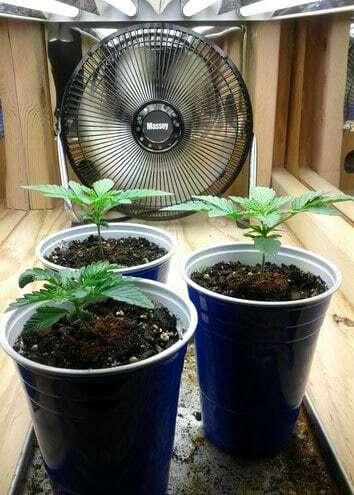 Seeing your marijuana seeds bursting to life in the form of seedlings can be extremely rewarding. 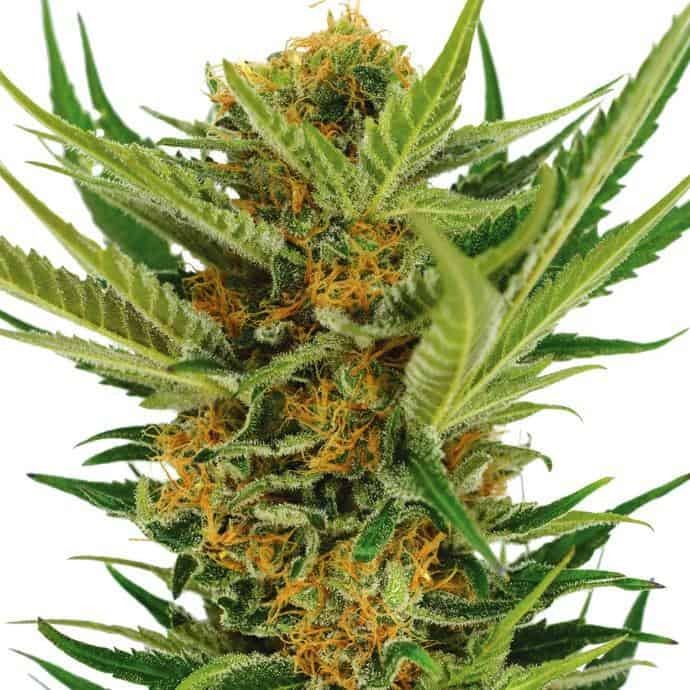 You know now that the seeds were good and that you made the first step toward obtaining beautiful cannabis plants. But, the appearance of the seedlings doesn’t mean that the hardest part is over. Not at all, as the tiny plants are at their most vulnerable stage, so you will need to pay a lot of attention and dedicate time and effort in carrying for your seedlings if you want healthy plants that are capable of producing considerable yields. Thus, in the following lines, you will find a comprehensive guide on how to take care of your seedlings in the best way possible, so that you will have high chances of success even as a beginner. 1 What is a marijuana seedling? 3 What’s the recommended amount of water? What is a marijuana seedling? So, you’ve planted your marijuana seeds for a while now. Well, do keep an eye on things as they should show signs of development, once they managed to absorb sufficient water from the soil, which activated their germination process. When a seed is ready to produce the new plant, you should see some splitting at the seams of the seed, the best sign that things are moving forward. In just a few hours after the seams split, you should be able to notice a white spike emerging, which is the tendril of the new plant. From this stage, the plant will begin growing incredibly fast. The tendril will go downward, in the soil, producing roots for the plant, while a stem will begin growing on the surface. The husk of the seedling, although apparently useless, actually acts as a leaf, gathering sufficient energy to fuel the growth of the plant. Soon, you should see the new leaves of the plant emerge. The first leaves that appear look nothing like marijuana leaves, but you shouldn’t panic. There will be two leaves only, which are called “sucker leaves”, which will make sure that the plant starts accumulating energy in order to grow. The next leaves will start looking like real marijuana leaves, although it will take a bit until the plant will actually begin growing authentic marijuana leaves. Just like when you’re growing any other kind of plants, there is the risk of losing the seedlings out for a variety of reasons. They can be eaten by insects and birds, affected by pests, or damaged by the weather. So, until they are strong enough, they should be properly protected. For this, try placing them in a safe environment. Even if you are growing them outside, you can still keep them safe effectively and cheap, by using transparent plastic bottles cut in half and used as protective bubbles on top of your seedling. Just make sure to cut some slots around the edges of the bottle, allowing air to flow it so that the plants won’t suffocate. To promote healthy growth, you need to make sure that the soil of your seedlings is moist all the time. You shouldn’t allow the water to puddle, but you should not allow the soil to get dry either. Water your seedlings with small quantities of water and check on them all the time. Also, make sure they enjoy plenty of sunlight, as it is essential for their development. If you live in northern areas, then spring days may be a bit too short for your cannabis seedlings. So, even if you grow them outdoors, they may still not receive sufficient light. When the seedling lacks the proper amount of light, it will grow too tall, in its attempt to reach more light, and will end up not being able to support itself. Thus, the best way to grow cannabis seedlings, if you have space and resources, is in an indoor space with the help of proper artificial light for plants. This way, you will be able to control the environment with ease. What’s the recommended amount of water? As mentioned before, giving your marijuana seedlings sufficient water is essential. But how much is enough? 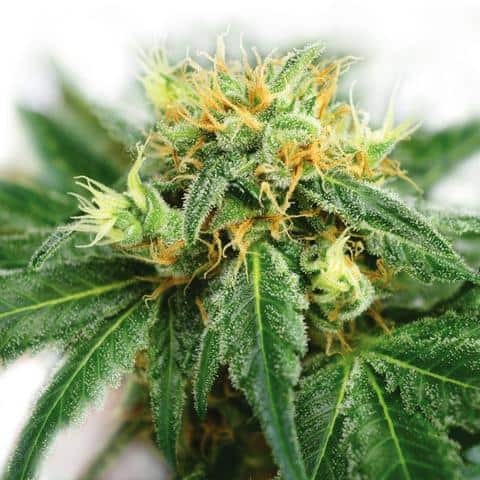 One of the most common mistakes made when growing marijuana plants is overwatering them. Out of the desire to give seedlings the best care, many people give them too much water and that’s a problem. Believe it or not, it is not the amount of water that creates the problem, but the fact that the roots of the plants are deprived of sufficient oxygen. This particular matter is met especially in the case of seedlings grown in containers, as water will not be able to drain as efficiently as in the outdoors, prevented by the walls of the container. So, let us take a closer look at the two main issues related to watering, which are overwatering and underwatering, and how they can be avoided. One of the causes that can lead to this problem is a container that is too large for your seedling. Even though you may be tempted to think that more space is not a problem, the roots of the small plant won’t be able to absorb all the water that fits inside a large container. Thus, it is much better to start out with small containers and then move the plants to bigger ones once they are larger. Problems appear when the seedling is too large for the cup and the roots became cramped and wrapped around themselves, which keeps the plant from absorbing the water right. Also, because of the tangled root system, the water remains trapped inside the container, creating unwanted problems. Another factor that leads to overwatering your seedlings is the poor draining of the soil. For example, if the containers do not have drainage holes or if the soil is not the right type, water will not drain right and flood your plants, which is extremely dangerous for their health. The roots of the seedlings should have permanent access to water. If you notice that the plant is starting to wilt, having soft and frail leaves, then it may be lacking water. Also, is the soil in the pot got separated from the pot’s walls, then it is definitely too dry and you need to water it right away. In case you enriched the potting soil with nutritious substances and there is a lack of water, your plants risk growing in the wrong way. They have present a dark shade of green and have growths in the wrong places and of the wrong color. To solve this problem, start watering your plants right. It is best to apply a small quantity of water at once and check on your plants daily, giving them small water portions every day, rather than just watering them too well with the hope that the water will last longer in the pot. 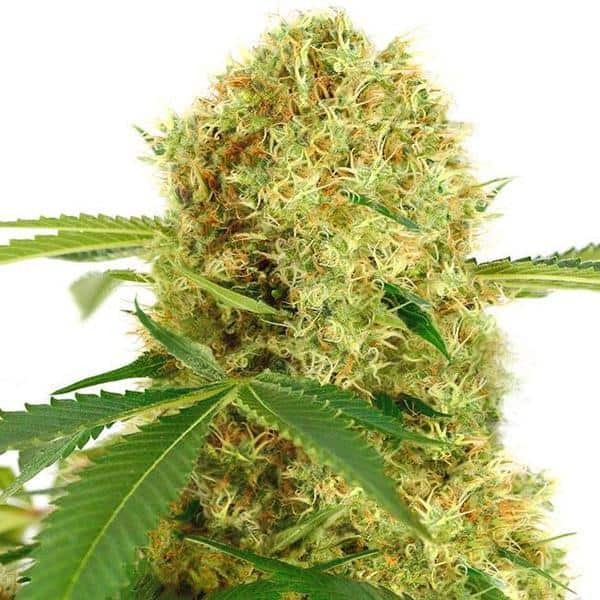 The reason people start growing marijuana plants is that they hope to obtain a good yield. More precisely, the buds of the plants represent the main point of interest. But, in order to get to the buds, you need to grow the plant first. To promote a healthy growth and enjoy gorgeous plants, you need to feed them. Feeding is even more important when growing them in a controlled environment, such as pots or containers, as the plants rapidly deplete the number of nutrients from the limited quantity soil available. But, this doesn’t mean that you should feed the plants as much as you want. Giving them more nutrients than necessary won’t make them grow faster or bigger, as too many nutrients in the soil are actually toxic to your plants. Soil with too many nutrients is called “hot soil”, as the plants will end up having a “burned” appearance, with a discolored tip on their leaves. If this happens, make sure to water the plants adequately, without allowing the soil to get dry and without adding any more nutrients for a while. Luckily, the plants will be able to recover. Still, it is necessary to give them nutrients, all you need to do is practice caution when applying these nutrients. On every nutrient found in stores, you will see application recommendations and a schedule. At first, apply half of the dose recommended on the label of the product and observe the plants to see how they react. If no problems emerge, you can increase the portion of nutrients to the recommended dose, continuing to keep an eye on the plants. When your marijuana seedlings are starving, you should be able to tell that there’s something wrong with them. Regardless if you are growing your plants on soil or not, nutrients are necessary. When the plants don’t have sufficient food in their soil, folding leaves will start emerging on them. A problem that can be easily solved by applying the right dose of nutrients. Still, do have in mind that the pH of the soil plays an important role as well. If the pH is the wrong one, the nutrients you introduced in the soil will not be absorbed appropriately. Also, inadequate watering will not allow the plants to absorb nutrients from the soil right either, so keep an eye on these aspects, especially if you know that you applied nutrients and results are not showing. Heat is important when it comes to making sure that your plants are developing right. As mentioned before, growing the plants indoors, in a controlled environment, is easier in terms of temperature management. Fluorescent lights are the best solution in this case, as they are economical when it comes to the used energy. And don’t emit a large amount of heat either, so they can be placed rather close to your plants. Keep the lights on for 18 hours and turn them off for 6 hours for the ideal growth. In case you are using HPS light, bring it as close as possible to the plants, but without exceeding 77 degrees Fahrenheit. For seedlings grown outdoors, sunlight is crucial. Don’t be afraid that they’ll have too much sunlight, as such a thing is not possible. If you make sure to keep their soil moist at all time, putting them under the sunlight will not be an issue. Just do have in mind that if your marijuana plants will reach their light saturation point, their growth will be slowed down. This means that they stop fighting for getting more light, since it is already plentiful, by growing. Pushing away the light sources will solve this aspect. Also, if you notice that you need more light, just bring the light sources closer to the plants. 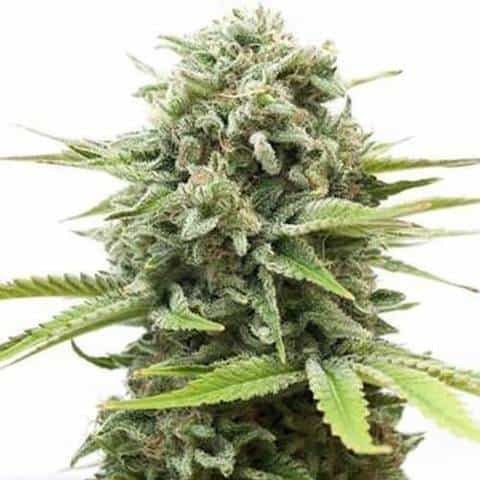 The main purpose of every marijuana grower is to obtain balanced plants, with a thick stem and nice leaves. But, when the conditions are not met, your seedling will grow too tall and thin. This may be due to improper light and temperature. You see, when the light is insufficient, the plant will stretch for it, investing too much in its stem, which will turn out to be too tall, in the detriment of the plant’s leaves. Thus, using more blue light and trying to keep the environment’s temperature at 80 degrees Fahrenheit should solve this problem. Still, if your plants continue to be too tall, another solution would be to bend their stems back and forth. While this may sound like a rough operation, it will actually strengthen the plant’s stem. Just be careful not to break it, but bent it. Where the bent happens, the stem will slightly break, but the plant will immediately repair the spot, resulting in a thicker stem in time. Hopefully, with the help of this guide, you will be able to take better care of your marijuana seedlings and start a great marijuana culture on your own.